When fractures occur, it's a major health care problem. Because there are over 200 bones in the human skeleton, broken bones can occur virtually anywhere and affect any, all bones that make up the skeletal system. 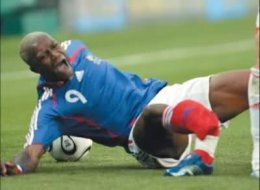 Sports, especially contact sports,carry a high risk for, and incidence of, these injuries. These injuries can affect how we walk, work, stand and use our extremities. Some varieties can be minor, some devastating. There are many causes and equally numerous types. We'll explore them and educate you on how to identify, classify and treat the most commonly seen ones. According to Massachusetts Orthopedic Surgeon, Jonathan Cluette, these are the most common orthopedic problems, about 6.8 million come to medical attention each year in the United States. The average citizen in a developed country can expect to sustain two fractures over the course of their lifetime. These injuries can be mild. severe or even life-threatening. They can be responsible for considerable loss of work and activity. They can be accidental, or even medically-induced. Injuries to the skeletal system is a huge topic. What we’ll attempt to do is begin by describing them, how they occur, signs and symptoms and how to treat them. From a medical standpoint,broken bones are identified by the bone(s) involved, whether or not the bone has penetrated the skin, how out of place it is, the mechanism of injury (i.e. twisting, crushing, tumor or disease related) and location within in the bone. Not to worry, we will attempt to address all these variables. It will take time and a lot of writing, but you will have at your disposal, an extremely large information base from which to work. Some examples of causative factors of broken bones are; trauma, disease conditions, congenital abnormalities, tumors and loss of bone density. Merriam-Webster's definition; “to break, bust, break up, fragment or disintegrate” can all identify a broken bone. As you will learn, the way a broken bone is named will give you great insight into where, how and how badly, the bone was injured. As we embark on this journey, we’ll start by educating you on some of the most commonly encountered injuries such as the ankle , hip and wrist . We’ll do our best to follow in a somewhat orderly fashion, the process from describing types all the way through their treatment.